Keep up with the latest Energy Star information, government regulations and company announcements right here. 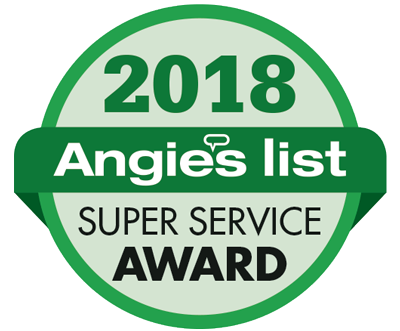 Crossfield Heating & Air Conditioning has earned the home service industry’s coveted Angie’s List Super Service Award, reflecting an exemplary year of customer service to members of the local services marketplace and consumer review site in 2018. 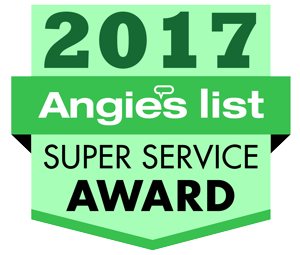 Angie’s List Super Service Award 2018 winners have met strict eligibility requirements, which include an “A” rating in overall grade, recent grade, and review period grade. The SSA winners must also be in good standing with Angie’s List, pass a background check and abide by Angie’s List operational guidelines. Crossfield Heating & Cooling demonstrates its commitment to providing area residents with first-rate HVACR service and installation by employing technicians who have received certification from North American Technician Excellence (NATE). NATE is an independent, third-party organization that develops and promotes excellence in the installation and service of heating, ventilation, air conditioning, and refrigeration (HVACR) equipment by recognizing high-quality industry technicians through voluntary testing and certification. By passing nationally recognized tests and becoming NATE-certified, a technician verifies that they possess the skills and knowledge to perform at the highest industry standards. Since the HVACR industry does not require technicians to take mandatory competency tests, many of today’s consumers hire contractors with NATE-certified technicians to ensure they are working with qualified professionals. Since 1993, Crossfield has offered heating and cooling for the Webster and Rochester NY area. 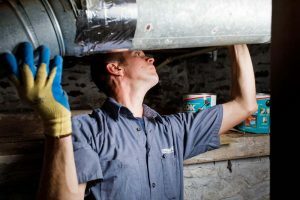 New York state residents may now take advantage of a new program called Home Performance with Energy Star, which allows homeowners who are looking to make upgrades to choose from three money- saving options. To qualify for the program, an assessment needs to be done on your home. We check a number of things including carbon monoxide levels, insulation levels, air filtration levels and the efficiency of your hot water and heating and air conditioning systems and the efficiency of your major appliances. Low-interest financing of up to $20,000. Low-interest financing and a work scope incentive of up to $4,000 for qualified homeowners. Ten percent cash incentive paid directly to the homeowner of up to $3,000. Typical upgrades often consist of health and safety repairs, window replacement, heating and air conditioning system replacement and air sealing. Open your blinds and curtains on the sunny side of the house when the sun is shining and close them as soon as the sun goes down to retain solar heat. Curtains made from heavy fabric with many folds can prevent cold air from seeping in and warm air from seeping out. Don't linger in a hot shower on a cold morning. Cutting your shower time in half could save up to one-third on your hot water heating costs. Consider a programmable thermostat to raise and lower the temperature at pre-set times. While it makes sense to turn the heat down when you're sleeping or not at home, setting it too low could cost you more because you have to use more energy to reheat the home. A reasonable guide to follow is 68 to 70 degrees while you are at home and awake and 63 to 65 when you are sleeping or not at home. Keep your furnace, heat pump and other heating equipment in top condition. Dirty filters reduce the efficiency of your furnace or heat pump.